If there is one thing we have no shortage of on Long Island it is beautiful mansions. From the Glen Cove Mansion in Glen Cove, New York, to the deSeversky Conference center in Old Westbury, to Oheka Castle in Huntington, the Bourne Mansion in Sayville, Coe Hall at Planting Fields Arboretum, and on and on...This picture was taken inside the mansion at the Vanderbilt Museum on Little Neck Road in Centerport, NY within the town of Huntington. The 43 acre museum complex includes the former residence of William K. Vanderbilt II, the curator’s cottage, a marine museum and a planetarium. The great lawn and boxwood garden at the back of the mansion provides panoramic views of Northport Bay. The former Vanderbilt Estate is now managed by the Suffolk County Department of Parks. Information regarding site use fees for wedding photography can be found on the Vanderbilt Museum web site. This photograph was edited using a cross-processing effect to give it the vintage look it has. 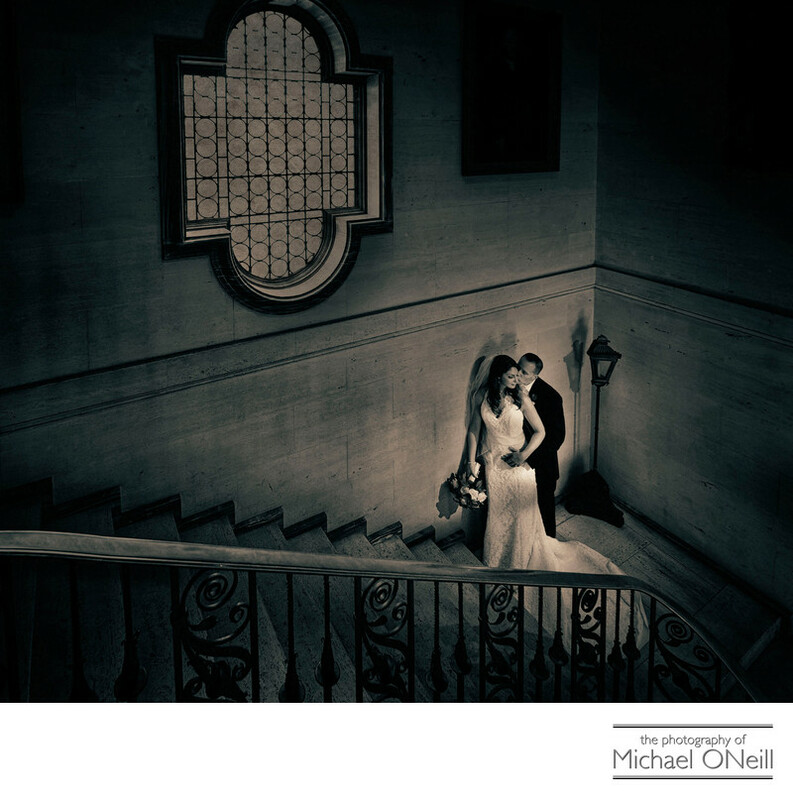 This image has earned many awards including a best-in-show award in the Professional Photographers of Greater New York image competition and an Accolade of Excellence from WPPI (Wedding and Portrait Photographers International) in their annual Print, Album and filmmaking competition held every year in Las Vegas, NV.Having a Long Island mansion wedding? Thinking about doing your wedding photography at the Vanderbilt Museum? Give me a call. I love working in the beautiful estates that line the Gold Coast of Nassau County and the south shore of Suffolk County. I’d love to work with you on your special day.